With the season finished it’s time to look back at the wins and also take a deeper look at the stats. Which teams had the most podium places but the fewest wins? Which teams are the most reliant on one rider? Quick Step top the table and by now you’re probably bored of it all, the record number of wins for the team, the 73 wins which isn’t far from Columbia-HTC’s 85 wins in 2009 but it’s still worth noting once again. “The Wolfpack” label came from directeur sportif Brian Holm signing off his emails “we’re the wolfpack and we take no prisoners”. 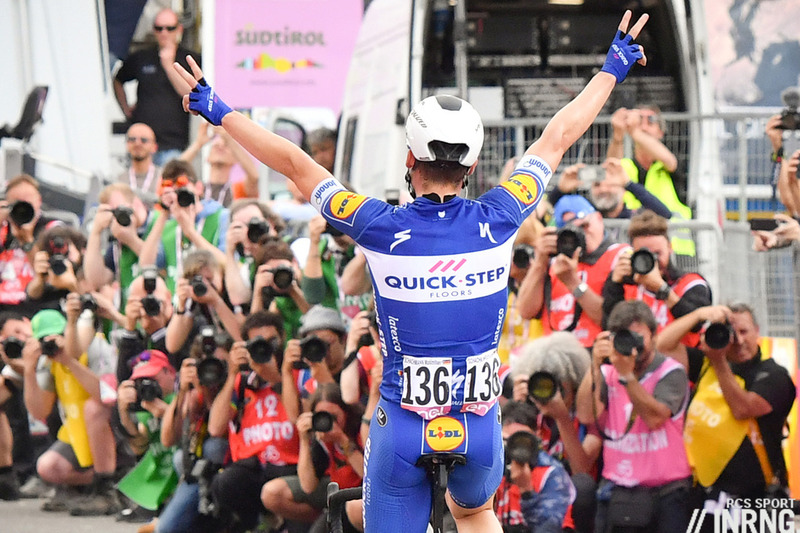 Elia Viviani delivered the most wins with 14 victories, with Julian Alaphilippe on 12 and Fernando Gaviria on 9 and, even excluding team time trials, half the roster had a win to their name during 2018. The price of success is retaining riders whose value has shot up, there’s money to keep Enric Mas but otherwise note the exodus with Niki Terpstra going to Direct Energie, Fernando Gaviria to UAE-Emirates, Max Schachmann to Bora-Hansgrohe among others and the 2019 version of this team, Deceuninck-Quick Step will surely win a lot, maybe just not as much. Team Sky finish on 42 wins, comparable to recent years but short of their record year, 2012 when they had Mark Cavendish as their house sprinter and 50 wins. As ever it’s a tale of quality as well as quantity, the Giro d’Italia and the Tour although for all the glory these add to a palmarès, the ledger saw the first half of the year dominated with coverage of Froome’s salbutamol case rather than, say, Michał Kwiatkowski’s Tirreno-Adriatico win. Now management end the year with more enjoyable concerns, like the enviable dilemma of who to send back to the grand tours, all while deciding where Egan Bernal goes too. Kwiatkowski was their most prolific rider. One curiosity was the absence of wins in April and the spring classics but even Sky have to manage resources and seem more focussed on stage racing. Mitchelton-Scott have 38 wins, all the more impressive when you consider Caleb Ewan “only” had four wins this year, a slow start – but second in Sanremo – and then benched for the Tour de France, they could have conceivably finished second on the table. 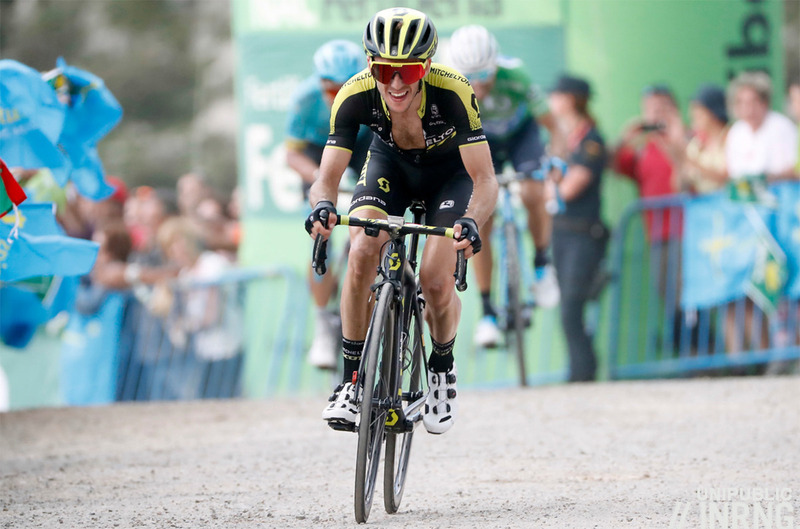 Simon Yates was their most prolific rider with eight wins and went from losing Paris-Nice and the Giro to winning the Vuelta and he must be licking his lips at the Tour de France route. Bora-Hansgrohe, Groupama-FDJ and Lotto-Jumbo are all tied on 33 wins and each have surpassed expectations. Bora’s most prolific rider? 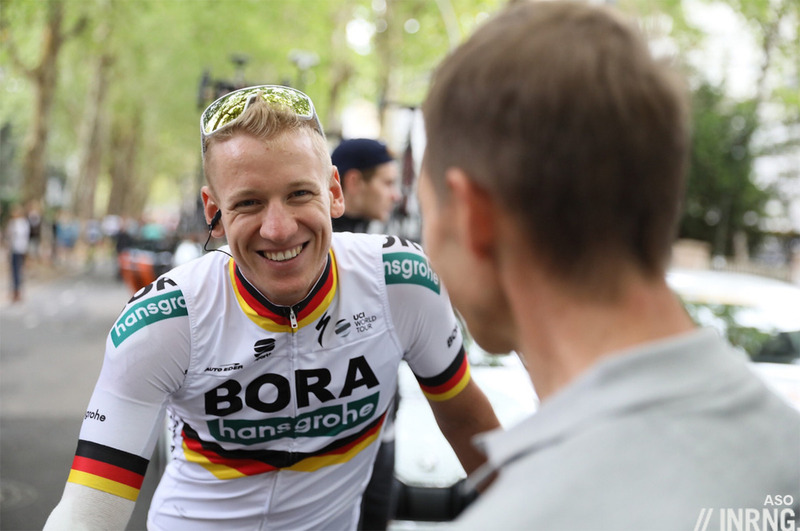 Pascal Ackermann (pictured) started the year without a win to his name and finishes with nine, one more than Peter Sagan on eight and it’ll be interesting to see how the team manages the pair, plus Sam Bennett. Groupama-FDJ’s leaders Arnaud Démare and Thibaut Pinot took 14 wins between them including Démare’s Tour du Poitou-Charentes razzia where he won every stage, including the TT, plus the overall. As a French team the Tour de France is the big deal and Démare “saved the furniture” as they say with his stage win in Pau and they’ve made a big signing in Stefan Küng, adding to an already thriving Swiss contingent where he’ll be a player in the classics and an engine for team time trials. Lotto-Jumbo have arguably the best sprinter going in Dylan Groenewegen who took 14 wins this year and impressed too thanks to versatility like his uphill sprint in Paris-Nice and is surely only going to get faster. 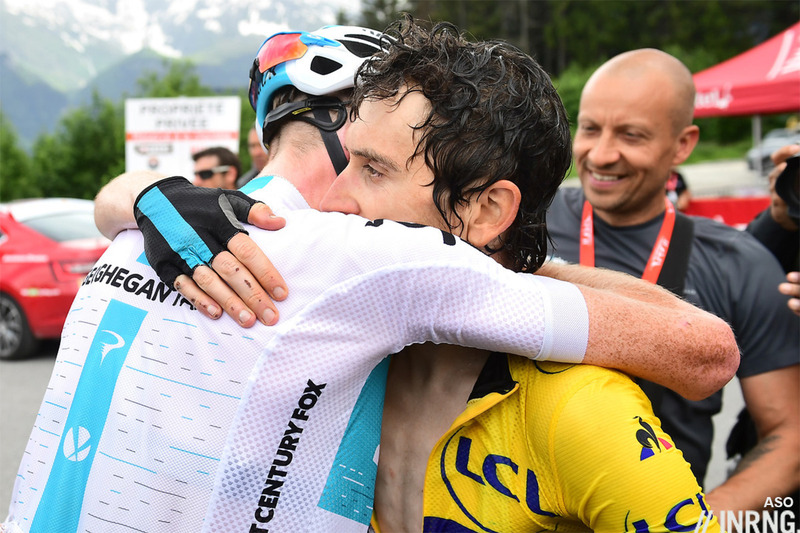 They were also impressive in the stage races, Steven Kruijswijk didn’t win but his long raid in the Tour de France is memorable and Primož Roglič is podium potential in a grand tour. Mid-table and Astana had a solid season but nothing exceptional, two Tour de France stage wins are probably the highlight. Bahrain-Merida‘s 28 wins keeps them high on the table but they only won four World Tour races and punch below their budget. Movistar have 26 wins, half of them from Alejandro Valverde and you wonder if the “rainbow” curse will strike, not out of superstition but because he’ll spend winter doing more public relations work and frankly what else has he got left to win? BMC have been a curiosity, the team’s lengthy search for a replacement funding source meant many riders didn’t hang around to find out the good news that CCC would be taking over meaning the squad is going to look very different next year and we’re not just talking about the likely orange kit. Trek-Segafredo had 21 wins, the most since the US firm took over the squad and despite 2018 being a notional holding season as they lost Alberto Contador and went shopping for a new leader in Richie Porte who’s bound to deliver wins in 2019 in the week-long stage races. Ag2r La Mondiale, UAE Emirates and Sunweb will be pleased not to be last. The French team didn’t have the Tour they wanted even if they had a record year for media coverage according to a press release which goes to show winning isn’t everything. UAE Emirates have few results to mention, despite the blue chip corporate branding they’re still the Lampre team underneath and it seems to show only their funding means they’ve been able to hire Fernando Gaviria in to remedy things, although we’ll see if he’s as prolific in 2019 and the betting is surely not. 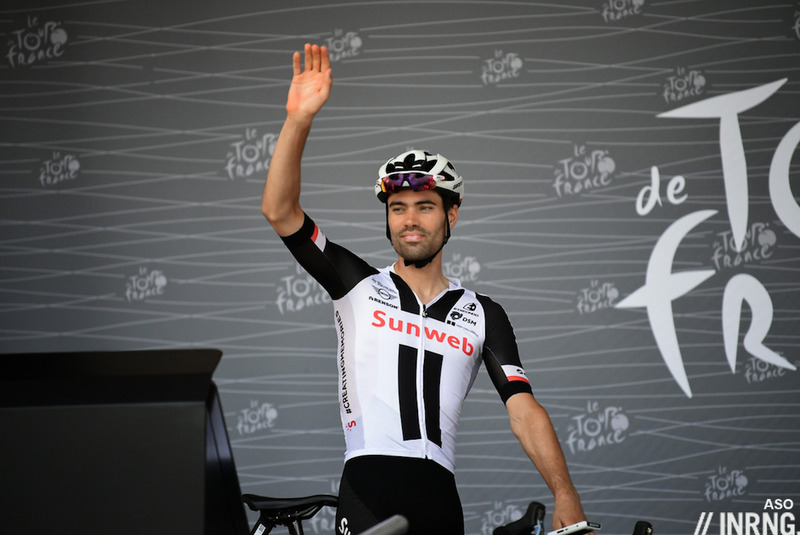 Sunweb didn’t have many wins but will be satisfied by Tom Dumoulin’s riding alone, second in the Tour and Giro and also in the Worlds TT and the promise of converting this into much more, all while Michael Matthews delivered five wins. 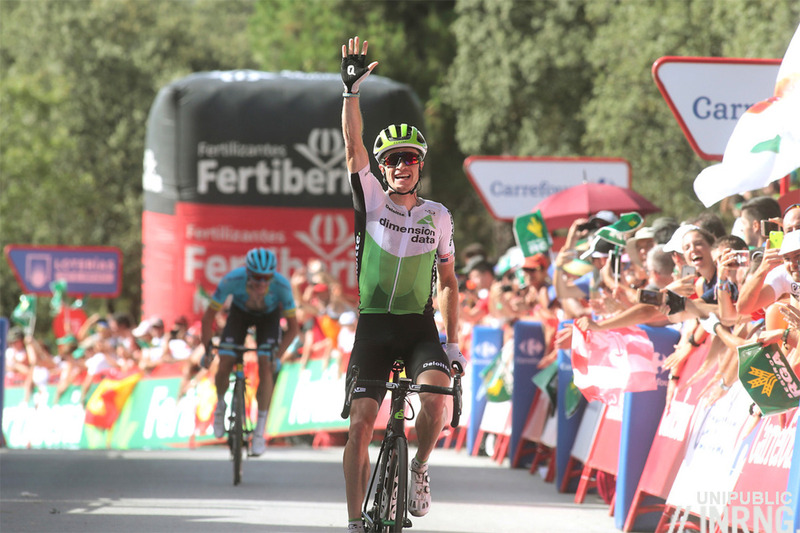 Team Dimension Data were plagued by accidents, injury and illness and only have seven wins to show and Ben King saved their season thanks to this two Vuelta stage wins and Ben O’Connor was a revelation. The glass half full version is EF Education First-Drapac won just by continuing, they almost run out of money last year. Half-empty and we might have expected signings like Dan McLay and Sacha Modolo to have won more than one race each. The team are going to put more of an emphasis on riding alternative races next year and it should get them positive headlines when more standard wins don’t even if, and this is becoming an annual refrain, Sep Vanmarcke has to win something big soon. As for these alternative races, a long-standing rule forbids pros from racing non-UCI events (as in UCI or on the calendar of a member federation) but exemptions can be granted and the rule is baloney too. Last and what a difference a year makes. Marcel Kittel finished 2017 with 14 wins including five stage wins in the Tour de France. In 2018 he had two stage wins in Tirreno-Adriatico and that’s it and his whole Katusha-Alpecin team had a discreet time. They’re still trying to move away from the Team Kremlin image but hold on to the Katusha name as they rebrand themselves as a team for cycling enthusiasts, hiring a range of riders with social media skills to help tap into new markets. The chart above shows the share of each team’s wins by its lead rider, in other words how dependent a team is on one rider to bring in the wins. It’s somewhat determined by the number of wins, eg Quick Step are the most prolific team with the most prolific rider in Elia Viviani and at the other end of the scale Katusha-Alpecin were dependent on Marcel Kittel for two out of their five wins, it ought to have been a lot more in both cases. Still mid-table Movistar need to think about the post-Valverde era while Astana and Trek-Segafredo had lots of riders winning rather than a clear leader. This chart shows the share of each team’s podium places with gold, silver and bronze to depict first, second and third places. Normally you’d expect an even distribution but in 2018 some teams struck gold disproportionately, notably Quick Step who, if they had a podium finisher then almost half the time it was a winner and the alchemy of turning silver and bronze chances into gold helps explains their success. Conversely Bahrain-Merida were the nearly men of 2018 with a frequent tendency to place rather than win, with Ag2r on a similar story only far more likely to finish third. Methodology: wins are in *.1 races and above and when the rider is wearing riding for their team, eg Alejandro Valverde’s Worlds win is not a triumph for Movistar; nor Yukiya Arashiro’s win in the Tour de Taiwan as he was riding for the Japanese national team. Put simply wins count for a team when a rider is wearing their jersey. Ancillary prizes like points competitions, mountains jerseys don’t count. As always, these columns are great reading and spur all kinds of good thinking. Thank you! I’m going to ask about the last line, ancillary prizes. The teams often work incredibly hard to get green or polka dot jersey, even for a day. Is there not a sense of victory there? Is a chance to step on the stage in Paris wearing white worth as much as a stage win to a sponsor? I am thinking that it is, and that another way to look at a season is the number of prize jerseys a team collects in UCI stage races. Is that more impressive than 73 wins? Probably not, but it seems worth some analysis and comment. What do you think? They’re definitely wins, just not of races, ie between a start and finish line. It probably goes back a long way when races had all sorts of ancillary competitions, not just points and mountains but best local, best rider to the Nth kilometre on Stage 7, most elegant rider and so on, as long as a sponsor could be found. Now the UCI limits the jerseys to four per race and this seems to have reduced this. Most elegant! I had not heard of that. I think that might be great season long competition! A ‘local rider/team’ prize, and a spot for those teams in the race would be awesome. I can’t think if this is still practice, but it feels like it is not. Lots of races already do have prizes for the best placed local rider, prioritise wildcard entries for those eligible teams with local connections and pay appearance fees to get the pro teams to guarantee they will select riders with local connections. Reporting on these local prizes and incentives is, not surprisingly, rather low in the priorities of the international media. 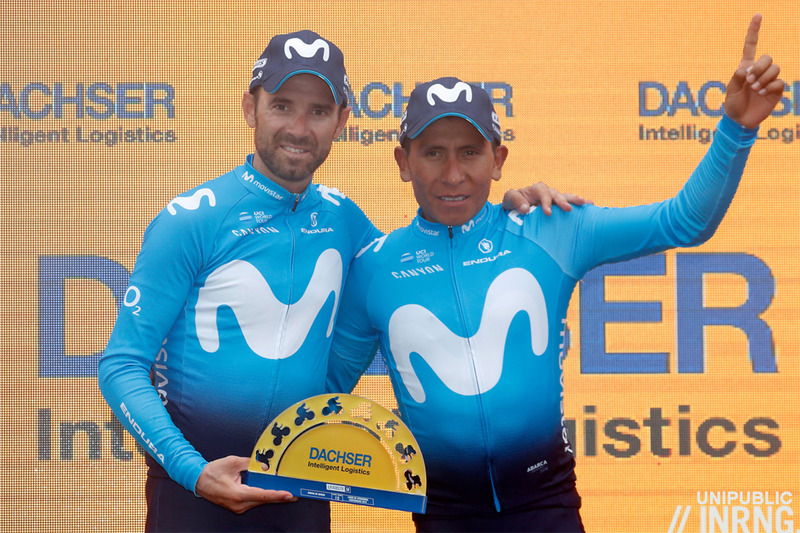 What price Movistar’s team victory at the Tour also? It clearly is highly prized to themselves and their sponsors but a bare return for El Tridente? I don’t see why their sponsor would care. Surely they care about public exposure – and the public don’t care about this. I suspect that Unzue just likes to be able to say ‘I have the best team’ and that this is an easy contest to win as no other team really cares – certainly not the big teams; someone like Dimension Data would probably love to win it. Quintana might have won the 2015 TdF if they hadn’t been trying to get Valverde into third – nothing sums up Movistar for me more than this. And look how conservatively NQ now rides – he didn’t when he was young. And Landa hasn’t exactly flourished there. And they don’t even pay particularly well – why remain with that team? Anonymous – you’re close to the point, but I think just barely miss it – Movistar only SAY they care about the Team prize… in reality they know they’ve failed miserably in competing for the pink and yellow jerseys! You say NQ rides “conservatively”, but it’s not conservative riding… he’s riding as hard as he can, but for some reason he appears to be weaker than in the past. Honestly, Movistar just don’t have the legs of the other top GC teams. Even Mikel Landa looked much weaker this year than last. They need better training techniques. Teams do care for the team prize, you can see them sending riders in breakaways for this purpose. It’s also important for corporate marketing, to have the team photo on the Champs Elysées and possibly the sponsors/executives present etc. Of course for the average fan it’s near meaningless. Having said that, Specialized don’t seem to go overboard on the back of Quick Step’s success? Or is it a case of the S Works brand selling itself? I must admit, in my imaginary dream garage, a black S Works Tarmac is hanging up, waiting to demolish the northern English hills. Ecky-Have you ridden one of those bikes? I ask because of the frequency I hear “My bike at home beats the crap out of me.” from folks who mention this make/model after raving about the great ride quality of the bikes in our rental fleet. I’ve never ridden one myself, but it makes me wonder if marketing mojo trumps reality in this case as it so often does in general? Hi Larry, I know you distaste modern cycling technology. But since the bike is in your rental fleet, why not do a ride on one? Surely it’s best way to test your hypothesis? Maybe you’d realise it actually is a good bike. For the record, I don’t ride specialised at the moment and don’t plan to be riding one anytime soon. You misread my message – there is NOTHING with the Big-S brand name on it in our rental fleet and never will be. Many, many times over the past few years while riding with clients who are singing the praises of the Torelli or Favaloro (all made in Italy) bikes we have, they’ll make remarks about how their bike at home beats the crap out of them, etc. Of course I can’t help but ask what the make/model of their bike is – and quite often it’s Big S “Tarmac”. As you might gues,s my personal machines are more like our Classic option. Tarmac can be an unforgiving experience for casual riders, especially the older models tend to be harsh. But it’s a really nice race bike. Do you fit the bikes from measures the customers provide? Because if not, it could also be about how agressively the bike it set up. Usually rental bikes are a bit more comfortable and not as “slam that stem” as the one you have at home. I take pride in matching the position specs clients provide us, so I don’t think your comments on rental bikes being more comfortable applies here. I can’t comment on “unforgiving experience for casual riders” as these people own and ride them and from what they tell me they don’t much like them. Why that is, I have no idea. My comments were not designed to get a whole bunch of “I love my Big-S Tarmac” responses, but rather to ask if the guy describing it as his dream bike had actually ever ridden one. You know, the old “be careful what you wish for” idea? Seems like more than a few have purchased these and found out they made a mistake based on what I’ve been told. That make/model gets mentioned regularly enough to stay in my memory. I must admit to believing claims that “it’s a really nice race bike” imply that someone has to be able to ride fast enough to enjoy it – which to me sounds more like marketing mojo than reality. While that certainly applies to MOTOGP and F1 machines, the connection to bicycles is flimsy at best IMHO. I suppose it depends why you are buying it. I’ve never owned or even ridden anything produced by Specialized but I know that the Tarmac is a race bike. As a result it will be very stiff and unforgiving. That’s fine if you intend to race it, as it will also be very fast and responsive. I might be wrong here but I have an image of your clients as being fairly well off, approaching middle age if not right in the middle of it, and maybe carrying a little more timber than a some. I.e not racing cyclists. If they are buying their bikes for essentially leisure cycling, or even touring, then a Tarmac allied to some expensive very stiff carbon wheels probably is a bad bike for them. Just the same as the latest Trek Madone or Bianchi Oltre would be. You are correct about the “racing cyclist” part. REAL racing cyclists simply don’t have the kind of money to enjoy cycling vacations in Italy. But the first time I heard a less-than-stellar review of this make/model it came from a guy who was anything but overweight and out-of-shape. He really hated this bike, but explained that he thought the stiffness and brain-rattling ride was essential in a “racing bike” which is part of the marketing blather I was pointing out. Another very fit and very fast guy said he rode one because the bike shop that employed him sold them and he got the employee deal price. But that didn’t make him like the bike. The baloney about watts being wasted due to frame flex, etc. has pretty well been debunked by now. I’d say the same about “fast and responsive” since all bikes go only as fast as you can pedal and unless you’re talking about a bike with geometry aimed at loaded touring any “responsive” qualities aren’t going to vary enough to make any real difference in race results. Finally, I’m done with this discussion, my goal was only to suggest Ecky actually test-ride his dream bike before he coughed up the loot. That doesn’t stop a test ride…. I ride a Madone. I like to ride fast. When I ride more “compliant” or relaxed fit bikes I feel unsatisfied. My bottom bracket went after 9 years. I’m thinking about a carbon repair, but am worried that any such effort would be a sticking plaster on an amputation. Anyone got any experience with this? These guys https://ruckuscomp.com/services gave what I thought an impressive presentation at PBMA Denver last year. I asked about a repair to a client’s Colnago C59 and their ideas seemed clever and effective. I don’t know if the client followed through with the repair or not as he’s in Australia. OTOH, aren’t those bikes covered under a lifetime warranty? I had a friend who broke his and they replaced it with a newer model at no charge. That’s what I had hoped. They claimed ‘wear & tear’…..which begs the question, isn’t all damage just wear and tear? So what good is the warranty?! That’s unfortunate. My friend had to do a little bit of begging/threatening I guess, but they coughed up an updated version of his bike at no charge. I can see them not wanting to hand over their current/newest-latest bike, but they usually have some older ones on hand just for warranty purposes like these. They’re obsolete and likely written off the second there were no longer current models so why not? But if you really like the bike, it might be worth sending it to Ruckus for evaluation? Based on my conversation with their guy at PBMA, I think they’d be the first to tell you if the thing was simply worn out as the Big T seems to think. If not I assume they’ll be happy to fix it for you. Larry T’s absolutely correct. There’s no way I’d make a top racing bike my normal training bike! First of all, they are way too unforgiving and secondly, as a non-pro my bikes come out of my mortgage and eating money, so if something happened to a 10k bike, I’d lose it and my wife… well it would be bad. Instead, I’m still training on my 14 year-old racing bike that is now super comfortable and if I fall or ding it, it’s not a big deal because it’s not worth anything. Besides, training is about your legs and passing rich guys who think they’re good enough to ride an S-Works Venge! I do believe that a Tarmac is a stiff, responsive bike. If you put power into it, it shows in your speed. But what makes it stiff and responsive can also be called a lack of comfortability which other bike models go for, such as touring bikes. That’s all I am saying, and I have ridden a few of them through the years. I ride and race an entry level Supersix now, which in my opinion is as good a bike for a Cat-2 rider as anything priced 10 times higher could be. I don’t think anyone else than a pro racer really gets the benefit of having a 10.000$ bike, the difference between that and a 1500$ bike are minimal. The bike industry has been succesful in telling us we need to buy a new bike every few years, otherwise we can’t keep up. It’s ridicoulous. In the 90’s when I got my first steel bike I remember that bikes were something you were planning to ride for many years, so quality was the issue. Prices were nowhere near the range they are now. I’m sure your local bikes are nice bikes and it’s a nice way of doing it to support the local dealer. It’s part of Italy’s cycling heritage to be framebuilders. I haven’t ridden a S Works of any model, though I have on a Roubaix Expert and I loved it. I must admit that I bought that particular bike partly on the Boonen connection, so perhaps I did fall to the Quick Step lure. It’s be interesting to see if QS’s success is reflected in Specialized’s sales figures. Even Movistar’s team prize at the Tour, its great publicity for Canyon. Talking of which, the new S Works Tarmac Ultralight looks remarkably similar to the Canyon Ultimate? Loving this discussion. I wonder if there’s a blog from a pro rider with no (visible) marketing ties to any specific brand, yet with a good, honest opinion on how the different bikes ride and perform. Most pros don’t get to ride many bikes, if they change teams every two years over a ten year career it’s possible they’ve only ridden 10-15 bikes and won’t know much different, they don’t get to compare. Many team issue bikes these days are all very good, there are few big differences… except in the price and paint schemes. “Anything but a 3T please!” seems to be the case….. The interesting part is whether teams zero in on these prizes with precision focus. I suspect the team prize comes about as a matter of a side effect of providing support to the GC rider, but in an opportunistic manner. Sky, for instance, waste their domestiques, who likely ruin their overall time. While Movistar aren’t riding on the front as much, and don’t have big rouleurs, so get their men over the mountains with a bit more ease. Basically, their guys don’t struggle through the three week race in the same way. There’s a definite energy/effort cost in protecting any jersey. You’d have to ask whether it detracts from any other goals, like, say, the yellow jersey. I think Terpstra’s and Gaviria’s moves will see them win fewer races – especially Terpstra (I think he probably knows that himself and went for a pre-retirement pay packet): his victories in Monuments – and in many other races – came because QS team mates would track anyone who went after his breakaway. Gaviria will probably suffer from being on an inferior team, but he still has his sprint to rely on. It will be interesting to see how Gaviria goes next year. Is he the next Sagan, or is he just the latest beneficiary of the Quick Step lead out train. Over recent years it seems not to have mattered who is last in the line at QS – Cavendish, Kittel, Boonen, Viviani, Gaviria, Jackobsen – whoever it has been has won easily. You could argue that Cav, Kittel, Viviani and Gaviria have looked at various points to be the best sprinter in the world when in their colours whereas beforehand (Viviani) or afterwards (Cavendish, Kittel) they have looked a bit more average. Gaviria has certainly backed himself going to UAE. I still think Gaviria will take a lot of wins, although there’ll probably be a slight dip. I’d go 8 or 9. He’s a more versatile rider that Viviani, Cavendish or Kittel – remember his Paris-Tours win? – and always looks adept at surfing the wheels. Shame he’s gone to UAE though, possiblity my least favourite WT team. Why is it your least facourite? They’ve done nothing wrong as a team. If you are talking guilt by association I think that’s a slippery slope at the bottom lies hypocrisy…. But moving on: the Gaviria-Sagan comparison seems like a good one, they are a similar body shape and potentially a good match for one another. Only Gaviria doesn’t have Sagan’s nose for a win. Sagan by his own admission eschews lead out trains. Conversely, Gaviria has seemed very reliant on the QS train, and easily defeated without it. I just find them a bit anonymous as a team, they always seem like passive actors in the big races, Dan Martin aside. And given the potential for a cool kit, looking at UAEs colour scheme, they probably have the most boring kit in the WT. Oh, and Atapuma and Rui Costa are two of the biggest wheelsuckers in the peloton. On the plus side they ride Colnago and Campag so there is that. Well that’s honest. UAE have been nothing but disappointing, but I don’t dislike them. They just don’t have a beating heart to the team. Aru does a very good Mulhouse impression without trying. And, as deeply a unsympathetic character as Mulhouse is Aru parrots that, either through association or otherwise. I don’t think other riders seem to warm to him for whatever reason. I certainly wouldn’t build a team around him, though his GT pedigree would say otherwise. Cav and Kittel were world class before joining Quickstep. The race to victories equally means the more money you put in the bigger the number of victories you shall reap. This ranking essentially is the true accounting book of each team, Not sure if a better selling of bikes they rode in the end. Like to see figures on that too. Or they just wouldn’t care I don’t know. very much not true. quick step at the top of the rankings have a medium budget, dwarfed by that of katusha who despite having one of the biggest budgets are at the bottom of the scale. Thanks for filling me in on that point. I wonder how these sponsor names will shuffle again next year? Jersey colour changes, new players and you start from the beginning again each day to see who survives the Schindler’s list. Patrick – totally agree. Budget is important, but it doesn’t tell the entire story at all. Viviani’s 14 wins isn’t 25% of QSs 73 wins. I’d like to see total # of podiums, along with the distribution you made and I can probably work it out from the %ages. Does anyone have the inside scoop on why Terpstra has gone to Direct Energie? Is he getting paid loads? Coz he certainly seems to be more than capable of winning in the big races still! Congratulations to Quick Step Floors! Astana winning Omloop Het Nieuwsblad and Amstel Gold with Michael Valgren (who is leaving for Dimension Data) sure counts more than the 2 Tour stages?